Welcome to another edition of "Something Strange Saturday," where we go off the beaten beauty path! 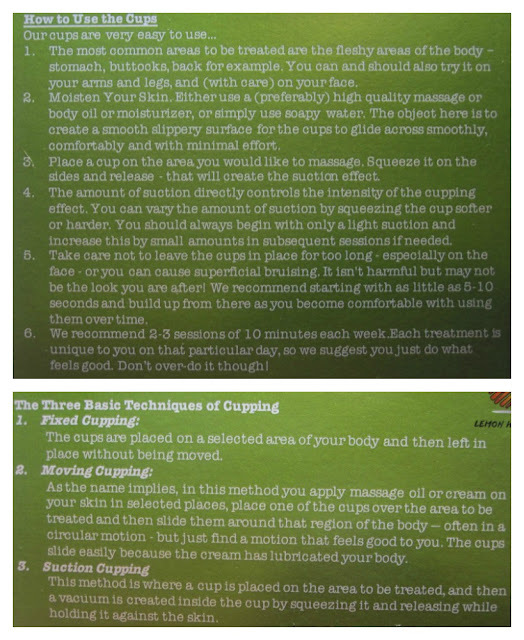 Today, I have a new-to-me discovery for relaxation - cupping! 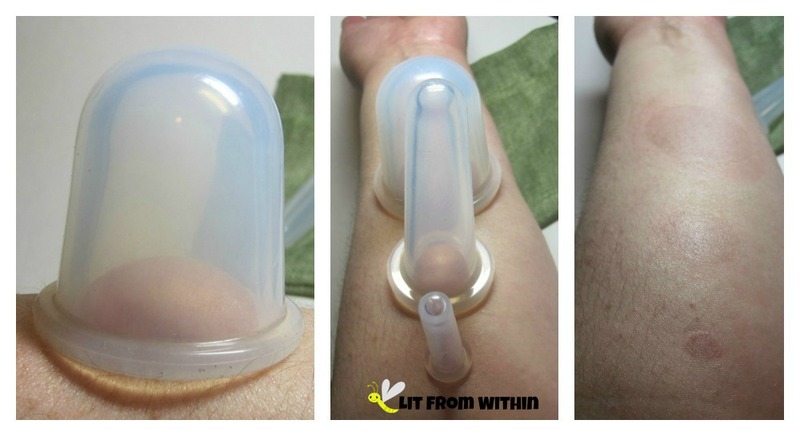 The set comes with 4 different sized cups that are used the same way - placed on the skin and squeezed to create a vacuum. The different sizes are used for different parts of the body, depending on your comfort level. In my experience, I found the cupping to be most pleasurable on the fleshiest parts of my body - the back, buttocks, and hamstrings. The suction was more noticeable and intense on my calves and arms. 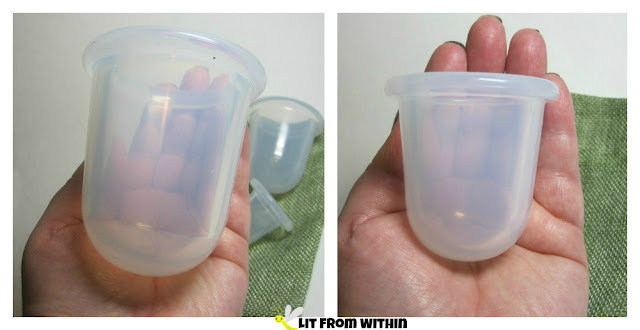 The middle-sized cup was also the easiest for my husband to use on me - it maintained suction and moved around easier than the other sizes. My husband usually has tightness in his calves, and I thought he would enjoy this massage, but he also found the pulling sensation on his calves to not feel very good, though, like me, he enjoyed it on his back, buttocks, and hamstrings. We both thought that the massage was better when the cups were pushed into the skin slightly - it helped maintain the suction, and the movement of the cups added a more traditional massage feel. I gave myself a unicorn horn! In all seriousness, though, I think the facial massage was my absolute favorite. I used a high-quality facial oil, and my husband started the suction in the middle of my face and then moved the cup outward. It felt amazing. The suction created a little bit of tightness in the skin, but not too much. I would recommend this set just for that massage alone, really. If you're interested in cupping, I would recommend this set from Lemon Hero. It's made of thick, high-quality silicone that feels substantial in the hand. It comes with 4 different-sized cups that can do about any job on the body. It's easy to create the suction - no need for any fire, or any chemicals, or fancy bulbs. Just a little oil, and these cups. Currently, they are available on Amazon for $19.99.